There are some seriously big name competitors in the full-size sedan segment, but there's a bit of a problem that's rarely discussed in detail about this rea of the auto market. That problem is what models are really rivals and which shouldn't be considered as direct competitors at all. It's not a size thing though; it's actually more of a class thing. Unlike other segments like midsize sedans where luxury models are easily identified from mass market models, it's not so easy with full-size sedans. The line between the two classes has been getting blurred for a while now, and it only appears to be getting worse as mass-market models continue to get better equipped, more advanced and more luxurious. So, let's take a look at the 2017 Ford Taurus vs. 2017 Buick LaCrosse to see how they shape-up against each other as a mainstream model against a supposed luxury rival. 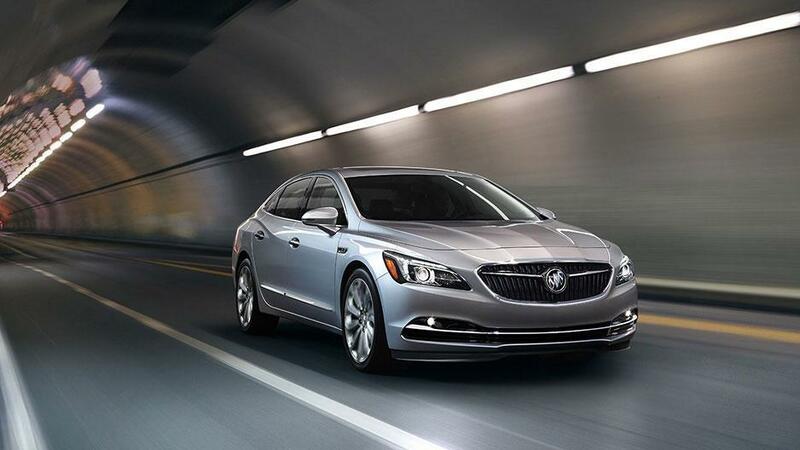 In one way it could be seen as something of an unfair fight to compare the exterior styling of these two as the Buick is a complete redesign for the 2017 model year, while the current Ford Taurus is the eighth model year of the car's sixth-generation. However, although the new LaCrosse is monumentally better than its predecessor, there's not a lot about that instantly tells you it's significantly newer than the Ford. 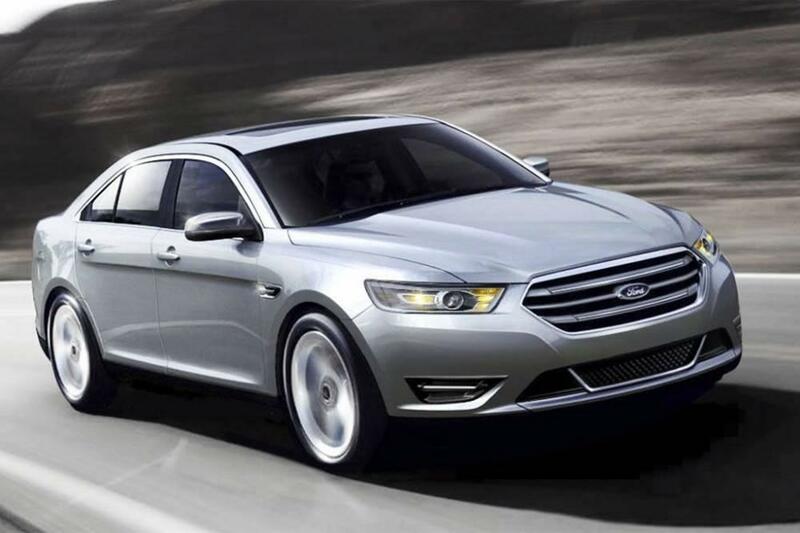 The Taurus has something of a look of a larger Fusion, and that's got to be a good thing. The LaCrosse is more contemporary in terms of styling than the previous model, but it's a long way from being anything like a cutting-edge design. Which is preferable is inevitably a matter of personal taste, but it's hard to make a case for the LaCrosse over the Taurus. With the Buick LaCrosse wanting to be seen as a genuine luxury offering and the Ford happy to be a mainstream model, it would stand to reason that the Buick would be noticeably more comfortable and luxurious inside, but that's just not the case. The Taurus has large, comfortable seats and the quality of materials and trims throughout the cabin is excellent. There's nothing wrong with the interior of the Buick, but you'd be entitled to expect quite a bit more from a car costing almost $5,000 more than the Taurus at the entry level. This is where things start to get a little grim for the Buick, as before we even get to comparing power and performance with the Taurus, the Ford takes a clear lead by offering three different powerplant options to the single engine available for the Buick. The engine in the LaCrosse is a 3.6-liter direct-injected V-6, and it does deliver a very capable amount of power and some degree of refinement. The standard powerplant in the Taurus is a slightly smaller and less powerful 3.5-liter V-6, but if that's not to your liking there are always two more to choose from. The next engine in the lineup is a 2.0-liter inline-four EcoBoost, and this fabulous little unit develops 240 horsepower and 270 lb.-ft. of torque and gets the Taurus some more than respectable fuel economy ratings. But if power and performance is what you're looking for with one of these two full-size sedans, the 3.5-liter EcoBoost V-6 puts the Taurus well out in front with its 365 horsepower and 350 lb.-ft. Whatever you want from an engine in your full-size sedan, the 2017 Ford Taurus has the answer. If there was one area of practicality where you might expect the Taurus to struggle against the LaCrosse it would have to be room in the back as a result of the Ford's sleek, sloping roofline. However, the facts don’t really back that up at all and the Taurus is actually the more spacious vehicle in almost every area. In fact, the Taurus has better front and rear headroom and it's an absolute no contest when it comes to some other areas. The Ford offers 102.2 cu.-ft. of interior passenger volume overall, compared to the 100 cu.-ft. of the Buick. But if you like a lot of room in the trunk of a car, there's a cavernous 20.1 cu.-ft. in the Taurus and a comparatively cramped 15 cu.-ft. in the LaCrosse. Although the Buick is marketed as a luxury model and the Ford isn't really, the Buick name doesn't have the same level of prestige as a Mercedes, BMW or a Cadillac, so it would be hard to justify a price in that league. To be fair to Buick, the LaCrosse doesn't cost as much as an equivalent model from one of those illustrious names, but it still costs considerably more than the Ford. The most basic LaCrosse has an MSRP of $32,065, while the Taurus starts from just $27,345. At the other end of the scale, the top-of-the-line LaCrosse Premium AWD costs $43,265 and the sensational Taurus SHO AWD only costs $42,520. The 2017 Buick LaCrosse certainly represents a big improvement over the car's previous generation. But despite having been around for a while now, the 2017 Ford Taurus is the better choice thanks to it having more engine options, a lower price and being at least a match for the Buick in terms of comfort, luxury and practicality.